“On February 18, 2010, the US Patent & Trademark Office published a patent application from Apple that reveals one of the next possible chapters for Apple’s Magic Mouse,” Jack Purcher reports for Patently Apple. Much more, including patent application illustrations, in the full article here. It will be reat but it seems this Mouse has a scroll ball. That I don’t like. It will be great but it seems this Mouse has a scroll ball. That I don’t like. I remember reading about the “rocking” motion a long time ago, even before the previous Mighty Mouse. 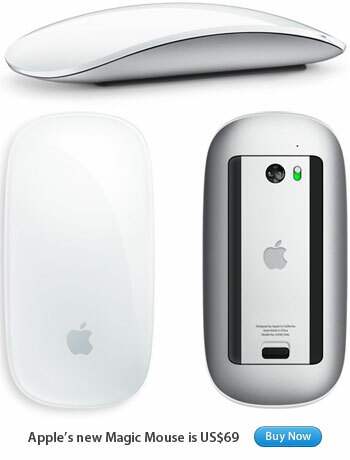 This is just a recycling of old ideas, and I don’t think Apple will use it this time either.